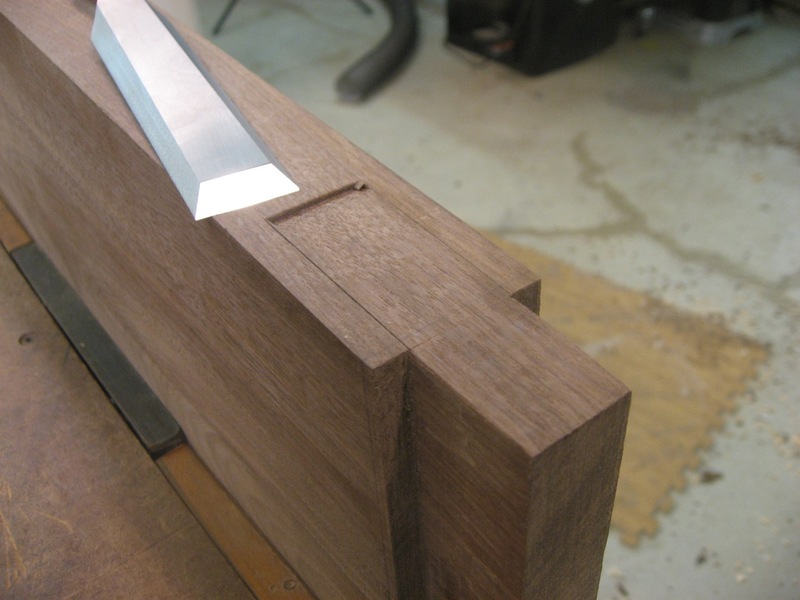 To finish up the tenon on the stretcher, I create a small flat spot for the wedge to fit. I simply mark the location with a gauge and use a sharp chisel to remove the waste. 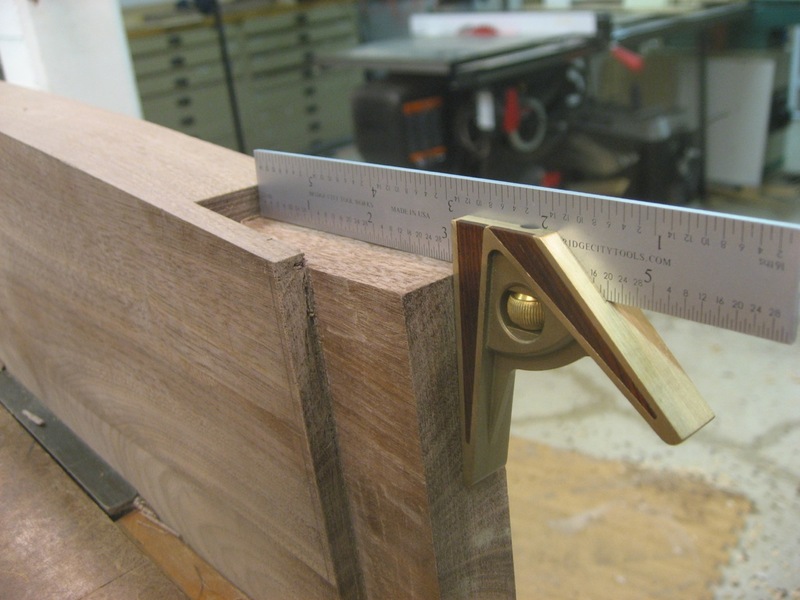 I check for square off the tenon as I go. It’s not critical how far down I go, I just want it to be flat and square – I can always enlarge the opening for the wedge to fit. Finally I’m ready to test the fit of the legs and stretcher! 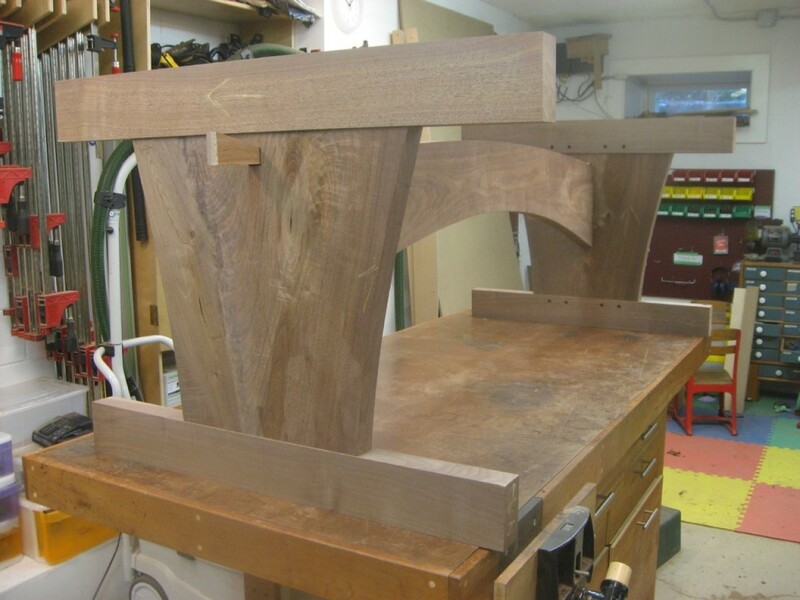 (This image skips ahead slightly as I’ve yet to show the mortise+tenon for the footer/header on the leg).